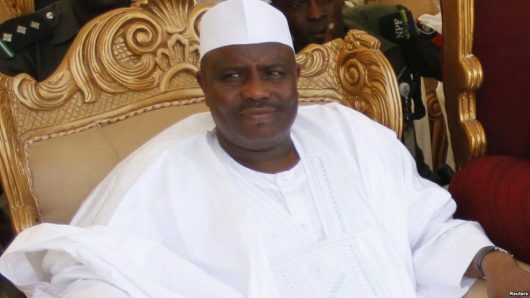 Governor Aminu Tambuwal of Sokoto State is now an isolated politician in his home state, disowned not only by his godfather, Aliyu Wammako, but also the elders of the party. The elders excoriated him for defecting to opposition Peoples Democratic Party (PDP) and to add insult to injury, they scored him as the least performing governor in the North West. One of the elders, Professor Lawal Bashar described Governor Tambuwal’s administration as the worst in the history of the state and stressed that present administrations in the nearby states of Katsina, Kebbi and Zamfara were far better in executing good projects. The Chairman of The Elders Committee of All the Progressives Congress (APC), Sen. Bello Gada, said that the coalition of APC support groups does not support the action of the governor. He told journalists that Tambuwal did not contact him or members of the committee before the move to change political platform. “On behalf of APC support groups, we demanded Governor Tambuwal to account for N18.3 billion Paris Club refund, N38.7 billion bailout funds, N10.5 billion salary/pension arrears, N8.7 billion CBN/FGN agric interventions fund and N2.2 billion ecological funds from federal government’’ Gada said.